Toi Derricotte's book True Stories, Well Told ... from the first 20 years of Creative Nonfiction magazine was available from LibraryThing Early Reviewers. Toi Derricotte's book The Art of Losing was available from LibraryThing Early Reviewers. Toi Derricotte is currently considered a "single author." If one or more works are by a distinct, homonymous authors, go ahead and split the author. 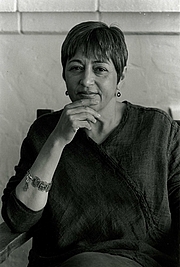 Toi Derricotte is composed of 1 name.